Mental health, stress, and psychological risk will continue to top health and safety agendas. In recent years workplace stress levels have risen to epidemic level. According to the World Health Organisation, stress is in fact the health epidemic of the 21st Century. Chronic stress can damage an employee’s mental, and physical health, making them less productive and leading to long term absenteeism. So it’s hardly surprising that, faced with many employees in danger of completely ‘burning out’, employers are waking up to the fact they need to place more focus on employee wellness. This year there will be concentrated efforts to stop workplace stress spiralling out of control. While the previous debate around mental health has focused on the subject as an individual issue, sparking a raft of initiatives ranging from office yoga and ‘Wellness Wednesdays’ to free counselling and mental health first aid provision; in 2019 the narrative will broaden with more awareness of the workplace triggers that put employees at risk. We could see a shift in our perceptions of mental ill health as an individual response to how the workplace can avoid creating harmful stress and psychological risk. Smaller businesses may need to increase training, as larger businesses are likely to have more awareness and understanding of the tools and interventions that can be put in place as preventative measures. With more of a focus than ever before on workplace health and safety, we can expect to see a vast increase in the number of safety personnel employed by businesses and organisations. New roles will emerge, such as: safety manager, safety consultant, safety engineer, risk manager, occupational health specialist. Take up of ISO 45001, the new international standard for occupational health and safety, has so far been slow. Migration to the new standard is likely to speed up in 2019. Worldwide, more than 100,000 organisations are certified to OHSAS 18001 – the existing British standard that will be withdrawn – and they will need to migrate to ISO 45001 by March 2021. A key difference in the new standard is the emphasis on the role of senior managers in health and safety. Previously it was ok to have the necessary documentation at their fingertips, but now they face the possibility of being interviewed and audited about their personal knowledge of what is going on in their organisation. Wearable technology is becoming more available in everyday work life and with more products coming to the marketplace we are likely to see more workers reap the benefits. Smart, or “intelligent” PPE, with digital technologies, apps, and smart sensors worn close to the body improves workplace safety from head to toe. Compared to tradition PPE, smart PPE’s advanced features boost protection by communicating with the wearer. Smart PPE leads to a reduction in errors, which results in fewer accidents and injuries, and therefore a more profitable business with improved performance, productivity and efficiency. The possibilities are endless. Chips or sensors can be programmed to do almost anything to make the user safe. For example, helmets can have detectors on them that warn the wearer with an alarm if they get within range of potentially hazardous equipment. Chips in gloves could be scanned to bring up data showing which chemicals they can safely be used with, and smart safety shoes can be programmed to detect and evaluate the risk of slipping. The industry is rapidly evolving to meet the new requirements of the future working environment and its workforce. We can expect to see more autonomous robots in factories and on construction sites, therefore businesses will need to make workers aware of the risks. There will be a stronger focus on designing health and safety measures to control any new risks to the workplace introduced by robotics and AI. This year the UK’s universities will be working on the development of robots used in workplaces to keep people safer. 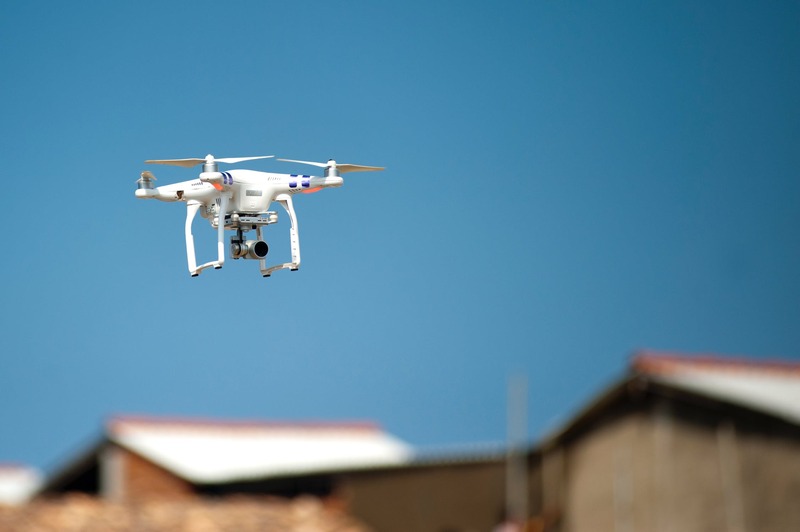 The Government has granted £26.6m in funding to develop robots and unmanned aerial vehicles (drones) to replace humans in hazardous or confined environments. Machines will be developed to undertake maintenance and inspection work in high-risk environments, such as offshore wind farms or nuclear facilities. Miniature robotic devices will be developed to fund and mend cracks in pipes and cut down on disruptive roadworks, which are estimated to cost the economy more than £5bn. Health and safety compliance is not an option, it’s compulsory. Breaches can result in prosecutions leading to fines, custodial sentences, and damaged business reputation. Online health and safety training is an excellent option to keep employees safe and well. ETD Training are based in Clun, Shropshire, and are specialists in online health and safety training provision to all organisations, large or small, nationwide.